$40/hr DOE, 401K, Personal health Stipend, daily lunches, full Medical, dental, vision for family, paid vacation and holiday etc. 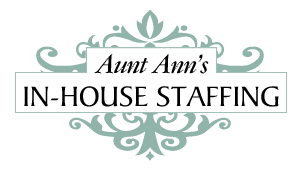 Young entrepreneurial family in the Palo Alto-Atherton area is seeking a highly competent housekeeper with a high level of confidentiality and respect for family's privacy. Who is capable of working on a team and reports to the executive housekeeper/house manager. The main role consists of: keeping households clean, organized and in excellent condition. Maintaining and managing household inventories. Notifying Lead Housekeeper of any necessary repairs in the homes or for appliances. Running household errands such as grocery shopping, shopping for household supplies and any requests as needed. Assisting with parties and gatherings which includes any errands, extra shopping, and day after cleanings. All other duties as assigned. Experience working in a house using “green” cleaners — what products would they use in the case of this situation?